Steven Coleman places 3rd in state! Steven Coleman finished 3rd in the 300 meter hurdles. Congratulations Steven! 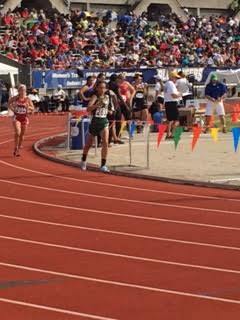 Reyna Schmauck competes at the state track meet. Steven Coleman advanced to the finals in the 300 meter hurdles. Reyna Schmauch and Steven Coleman advance to state track meet. Reyna Schmauch finished 4th in the 3200 meter run to advance to the state track meet in Jefferson City next Friday. 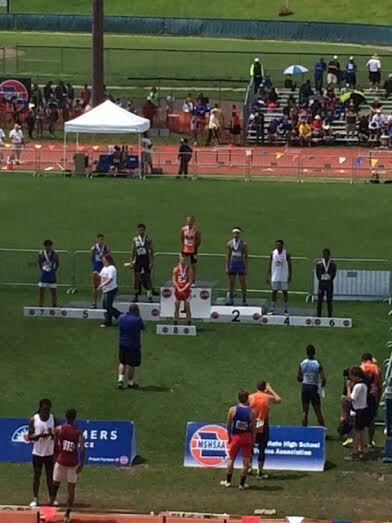 Steven Coleman placed first in the 110 hurdles and 2nd in the 300 hurdles to also advance. Congrats and way to make us Thunderbird Proud! Steven Coleman Wins 4 District Titles! 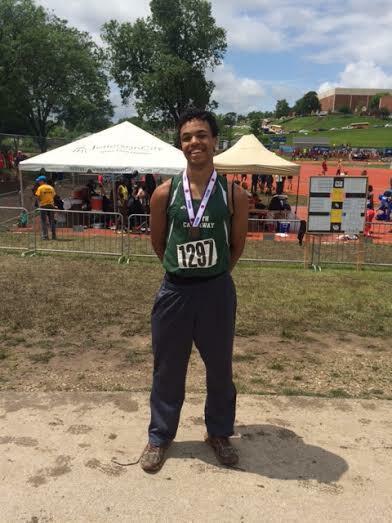 Steven Coleman placed first in the 100 and 200 Meter Dash. He also won the 110 and 300 Meter Hurdles at districts in Centralia. Also advancing to sectionals are Reyna Schmauck in the mile and 2 mile and Levi Gilman in the 300 hurdles. Congrats and good luck! Jr. High Track Finishes Strong! jh track The Jr. High Track team finished their season with great performances. Results are attached. Way to be ThunderBird Proud! 2015 EMO Individual Results (1) The Boys and Girls Track Team finished 4th in the annual conference track meet. Results are attached. Good Job Thunderbirds!